Jul 17, 2014 — When Typhoon Haiyan, the largest storm ever to make landfall, struck the Philippines in November 2013, it wreaked havoc on the island nation and devastated communities along the country’s expansive coastline. Operation USA, having worked in the country since 1986, immediately sprang to action to aid relief efforts, providing water purification tablets for distribution in Tacloban within days of the storm. In the wake of a disaster like a typhoon, ensuring access to clean drinking water is an urgent priority, and OpUSA was fortunate to have purification supplies pre-staged in Manila for quick distribution to affected areas. In the weeks following the massive typhoon, OpUSA called on the public for donations to relief efforts, and worked with long standing partners to secure funding for long-term recovery and redevelopment projects. With an impressive outpouring of support from individuals, corporations and partners (both old and new), donations of funds to aid in recovery quickly added up, totaling over $530,000. Many in-kind donations were also taken in. 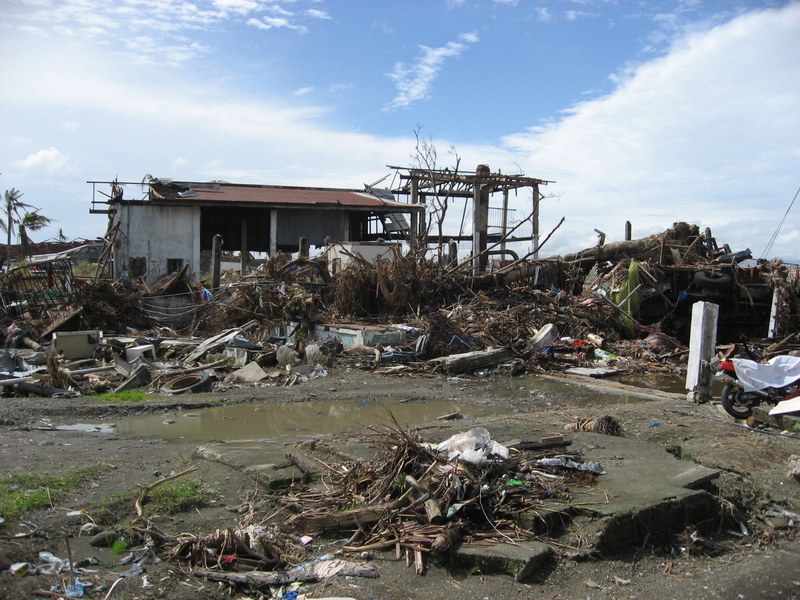 In November 2013, OpUSA President and CEO, Richard Walden, traveled to the Philippines to survey the damage firsthand. Following that initial assessment, OpUSA program staff visited the area to meet with impacted communities and start the process of identifying top priority recovery projects. 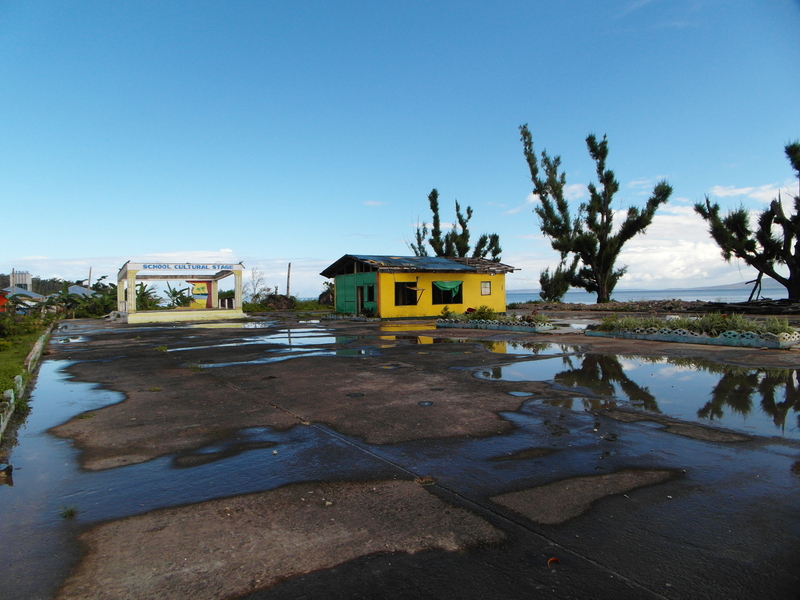 As an outgrowth of those meetings, it was decided that the small coastal municipality of Guiuan, where the monster storm first made landfall, would become the focus of Operation USA’s relief efforts. To date, we have sent sea shipments of much needed relief and recovery supplies to the area. Now, as the emergency phase is waning, OpUSA, in grateful partnership with the Honeywell corporation, is embarking on a multi-phase rebuilding project that will include a public school and a playground. Additional partners have also joined the effort to outfit the school, including We-Care.com, donating over $10,000 from shoppers who utilized the platform in February 2014, and Filipino-American dancer Stella Abrera, coordinating her own fundraising effort on the crowd-funding platform Crowdrise. Alongside these efforts, OpUSA continues to seek funding for playground equipment, computers, sports equipment and other school supplies for the estimated 250 children who will attend the school. This month, OpUSA staff members will return to Guiuan to assess ongoing efforts and reiterate Operation USA’s commitment to the community. Click HERE to donate in support of typhoon recovery now.